ZOLL® Medical Corporation, an Asahi Kasei Group Company that manufactures medical devices and related software solutions, announced today that the company’s ZOLL AED 3 ™* and the ZOLL AED 3 BLS* (basic life support) automated external defibrillators now feature RapidShock™ analysis technology, which decreases heart analysis time and pauses in chest compressions. RapidShock analysis can analyse a heart rhythm in 3 seconds, compared to existing devices, which take up to 12 seconds. Minimising CPR pause time for more continuous lifesaving CPR care can improve patient outcomes from sudden cardiac arrest. RapidShock analysis is a free upgrade for existing ZOLL AED 3 owners in countries where it has regulatory approval. “We’re pleased to be able to add this breakthrough technology to the ZOLL AED 3. It is critical to deliver consistent, high-quality chest compressions, and this technology dramatically reduces pauses, allowing for high-quality CPR,” said A. Ernest Whiton, President of ZOLL Resuscitation. 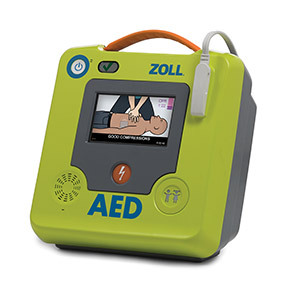 The ZOLL AED 3 is designed and built upon years of usability research with both trained and untrained rescuers. The ZOLL AED 3 offers rescuers unmatched support with enhanced Real CPR Help®, ZOLL’s real-time CPR feedback technology. The ZOLL AED 3 is equipped with universal adult/paediatric electrode pads and a battery that lasts five years, which means less maintenance, a lower cost of ownership, and an AED that will be ready for the rescue. The ZOLL AED 3 has enhanced features such as integrated paediatric rescue capabilities and WiFi connectivity, which allows users to easily manage their suite of devices via the cloud. For professional rescuers, the ZOLL AED 3 BLS model provides an ECG display and CPR Dashboard™, for more in-depth rescue support . ZOLL Medical Corporation, an Asahi Kasei Group Company, develops and markets medical devices and software solutions that help advance emergency care and save lives, while increasing clinical and operational efficiencies. With products for defibrillation and monitoring, circulation and CPR feedback, data management, therapeutic temperature management, and ventilation, ZOLL provides a comprehensive set of technologies that help clinicians, EMS and fire professionals, and lay rescuers treat victims needing resuscitation and acute critical care. 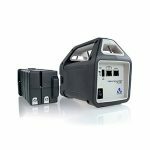 For more information, visit www.zoll.com. The Asahi Kasei Group is a diversified group of companies led by Asahi Kasei Corp., with operations in the materials, homes, and health care business sectors. Its health care operations include devices and systems for acute critical care, dialysis, therapeutic apheresis, transfusion, and manufacture of biotherapeutics, as well as pharmaceuticals and diagnostic reagents. With more than 30,000 employees around the world, the Asahi Kasei Group serves customers in more than 100 countries. For more information, visit www.asahi-kasei.co.jp/asahi/en/.